How many calories in Tuna? We provide you with the Tuna calories for the different serving sizes, Tuna nutrition facts and the health benefits of Tuna fish to help you eat a healthy diet and lose weight. 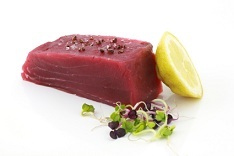 There are many varieties of Tuna, including Yellowfin, Bluefin and Skipjack. Tuna fish can grow to be very large and are therefore purchased as either steaks or canned. Bluefin Tuna is considered an endangered species, and in the interests of this specific species should be avoided. 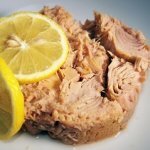 Tuna provides a good source of vitamins B1-B3, B5, B6, B12, phosphorus, potassium, selenium and other vitamins and minerals. They also provide an excellent source of protein. Tuna contains omega-3 fatty acids and are therefore thought to lower blood pressure. 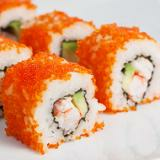 Other Tuna benefits are believed to include added protection against heart disease and acting as an anti-inflammatory. Compare calories in Tuna with the other calories in fish. 1 can of tuna makes a great tuna nicoise salad. This tuna salad takes only 15 mins to make. Ingredients: tuna, tomato, eggs, onion, olives, parsley and salad dressing (the recipe is provided). One serving contains 254 kcal and 6g of net carbs.